Bolton chairman Ken Anderson says "detailed discussions" about a takeover of the club are underway but said stories of an imminent sale are premature. The Sky Bet Championship club has been up for sale for more than 12 months and, since then, a number of groups have emerged as potential buyers without a deal ever being finalised. Further reports over the weekend linked an unspecified United Kingdom consortium to the club, hinting a deal could be done this week, but Anderson played that down on Monday. In a statement on the club's website, Anderson wrote: "I have seen the comments both in the media and on social media which allude to the fact that I am about to sell my stake in the club to a UK consortium. 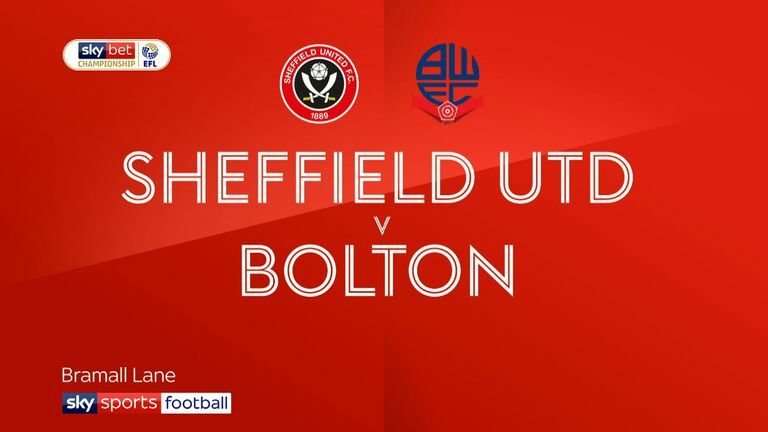 Highlights of the Sky Bet Championship match between Sheffield Utd and Bolton. "For the record, I didn't have any meetings in London last week in connection with a sale of the club. "My focus, along with the management and recruitment team, was solely on recruitment and fending off unwanted bids for our players. Despite media comments of fire sales, players demanding transfers and unrest amongst the players, not one player left in the January transfer window. "I can confirm, however, that detailed discussions are taking place with an interested party but as I am sure that you will appreciate I am unable to give you details at this stage."